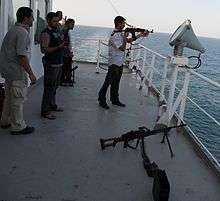 In the 2000s, pirates armed with automatic weapons and rocket propelled grenades use small motorboats to attack and board ships, a tactic that takes advantage of the small number of crew members on modern cargo vessels and transport ships. They also use larger vessels, known as "mother ships", to supply the smaller motorboats. The international community is facing many challenges in bringing modern pirates to justice, as these attacks often occur in international waters. 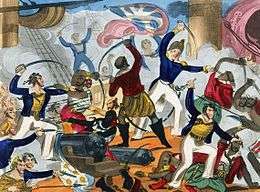 In the 2000s, a number of nations have used their naval forces to protect private ships from pirate attacks and pursue pirates. 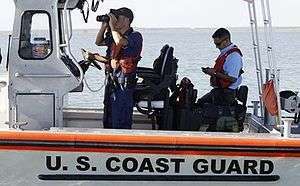 As well, some private vessels are taking steps to defend their vessels and their crews from piracy, such as using armed security guards, high-pressure hoses or sound cannons to repel boarders, or using radar to avoid potential threats. 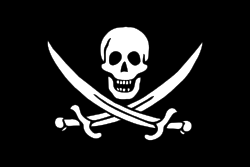 The English "pirate" is derived from the Latin term pirata ("sailor, corsair, sea robber") and that from Greek πειρατής (peiratēs), "brigand", in turn from πειράομαι (peiráomai), "I attempt", from πεῖρα (peîra), "attempt, experience". 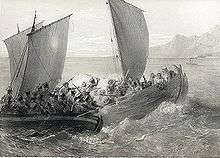 The meaning of the Greek word peiratēs literally is "one who attacks (ships)". The word is also cognate to peril. 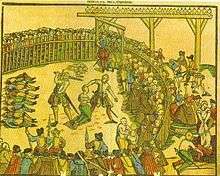 The term is first attested to c. 1300. Spelling was not standardised until the eighteenth century, and spellings such as "pirrot", "pyrate" and "pyrat" were used until this period. The earliest documented instances of piracy are the exploits of the Sea Peoples who threatened the ships sailing in the Aegean and Mediterranean waters in the 14th century BC. 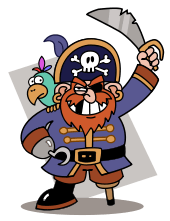 In classical antiquity, the Phoenicians, Illyrians and Tyrrhenians were known as pirates. The ancient Greeks condoned piracy as a viable profession; it apparently was widespread and "regarded as an entirely honourable way of making a living". References are made to its perfectly normal occurrence many texts including in Homer's Iliad and Odyssey, and adbuction of women and children to be sold into slavery was common. By the era of Classical Greece, piracy was looked upon as a "disgrace" to have as a profession. The expansion of Muslim power through the Ottoman conquest of large parts of the eastern Mediterranean in the 15th and 16th century resulted in extensive piracy on sea trading. 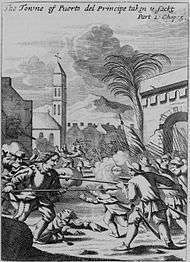 The so-called Barbary corsairs began to operate out of North African ports in Algiers, Tunis, Tripoli, Morocco and Morea (modern-day Greece) around 1500, preying primarily on the shipping of Christian powers, including massive slave raids at sea as well as on land. The Barbary corsairs were nominally under Ottoman suzerainty, but had considerable independence to prey on the enemies of Islam. The Muslim corsairs were technically often privateers with support from legitimate, though highly belligerent, states. They considered themselves as holy Muslim warriors, or ghazis, carrying on the tradition of fighting the incursion of Western Christians that had begun with the First Crusade late in the 11th century. There was a great deal of money to be made in this way. 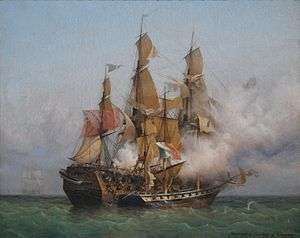 The record breaker was the capture of the Spanish frigate Hermione, which was carrying treasure in 1762. The value of this was so great that each individual seaman netted £485 ($1.4 million in 2008 dollars). The two captains responsible, Evans and Pownall, received £65,000 each ($188.4 million). 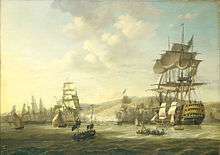 In January 1807 the frigate Caroline took the Spanish San Rafael which brought in £52,000 for her captain, Peter Rainier (who had been only a Midshipman some thirteen months before). All through the wars there are examples of this kind of luck falling on captains. 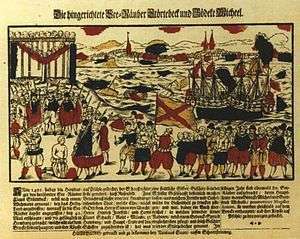 Another famous 'capture' was that of the Spanish frigates Thetis and Santa Brigada which were loaded with gold specie. They were taken by four British frigates who shared the money, each captain receiving £40,730. Each lieutenant got £5,091, the Warrant Officer group, £2,468, the midshipmen £791 and the individual seamen £182. Seaborne piracy against transport vessels remains a significant issue (with estimated worldwide losses of US$16 billion per year), particularly in the waters between the Red Sea and Indian Ocean, off the Somali coast, and also in the Strait of Malacca and Singapore, which are used by over 50,000 commercial ships a year. 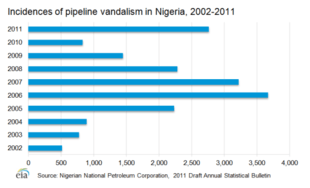 In the Gulf of Guinea, maritime piracy has also led to pressure on offshore oil and gas production, providing security for offshore installations and supply vessels is often paid for by oil companies rather than the respective governments. 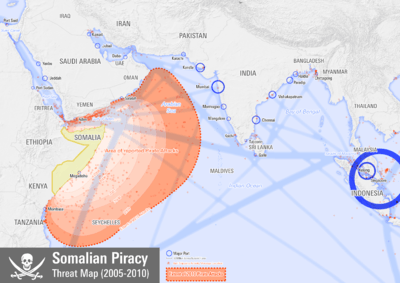 In the late 2000s, the emergence of piracy off the coast of Somalia spurred a multi-national effort led by the United States to patrol the waters near the Horn of Africa. 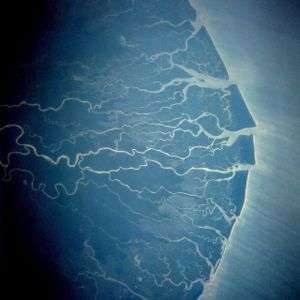 In 2011, Brazil also created an anti-piracy unit on the Amazon river. Sir Peter Blake, a New Zealand word champion yachtsman, had been killed by pirates on the Amazon river in 2001. The fourth volume of the handbook: Best Management Practices to Deter Piracy off the Coast of Somalia and in the Arabian Sea Area (known as BMP4) is the current authoritative guide for merchant ships on self-defense against pirates. The guide is issued and updated by Oil Companies International Marine Forum (OCIMF), a consortium of interested international shipping and trading organizations including the EU, NATO and the International Maritime Bureau. It is distributed primarily by the Maritime Security Centre – Horn of Africa (MSCHOA), the planning and coordination authority for EU naval forces (EUNAVFOR). BMP4 encourages vessels to register their voyages through the region with MSCHOA as this registration is a key component of the operation of the International Recommended Transit Corridor (IRTC, the navy-patrolled route through the Gulf of Aden). BMP4 contains a chapter entitled "Self-Protective Measures" which lays out a list of steps a merchant vessel can take on its own to make itself less of a target to pirates and make it better able to repel an attack if one occurs. 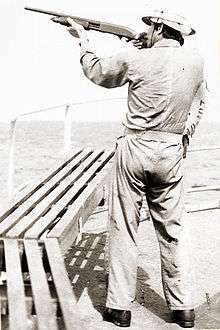 This list includes ringing the deck of the ship with razor wire, rigging fire-hoses to spray sea-water over the side of the ship (to hinder boardings), having a distinctive pirate alarm, hardening the bridge against gunfire and creating a "citadel" where the crew can retreat in the event pirates get on board. Other unofficial self-defense measures that can be found on merchant vessels include the setting up of mannequins posing as armed guards or firing flares at the pirates. The U.S. District Court for the E.D.Va. has since been overturned: "On May 23, 2012, the United States Court of Appeals for the Fourth Circuit issued an opinion vacating the Court's dismissal of the piracy count. United States v. Said, 680 F.3d 374 (4th Cir.2012.See also United States v. Dire, 680 F.3d 446, 465 (4th Cir.2012) (upholding an instruction to the jury that the crime of piracy includes "any of the three following actions: (A) any illegal acts of violence or detention or any act of depredation committed for private ends on the high seas or a place outside the jurisdiction of any state by the crew or the passengers of a private ship and directed against another ship or against persons or property on board such ship; or (B) any act of voluntary participation in the operation of a ship with knowledge of facts making it a pirate ship; or (C) any act of inciting or of intentionally facilitating an act described in(A)or(B) above")." The case was remanded to E.D. Va., see US v. Said, 3 F. Supp. 3d 515 - Dist. Court, ED Virginia (2014). 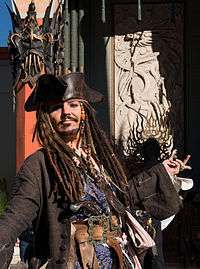 Pirates are a frequent topic in fiction and, in their Caribbean incarnation, are associated with certain stereotypical manners of speaking and dress, some of them wholly fictional: "nearly all our notions of their behavior come from the golden age of fictional piracy, which reached its zenith in 1881 with the appearance of Robert Louis Stevenson's Treasure Island." Hugely influential in shaping the popular conception of pirates, A General History of the Pyrates published in London in 1724 is the prime source for the biographies of many well known pirates of the Golden Age, providing an extensive account of the period. Some 2014 research examines the links between piracy and entrepreneurship. In this context, the claim is made for a nonmoral approach to piracy as a source of inspiration for 2010s-era entrepreneurship education as well as for research in entrepreneurship and business model generation. ↑ Pennell, C. R. (2001). "The Geography of Piracy: Northern Morocco in the Mod-Nineteenth Century". In Pennell, C. R. Bandits at Sea: A Pirates Reader. NYU Press. p. 56. ISBN 9780814766781. Retrieved 2015-02-18. 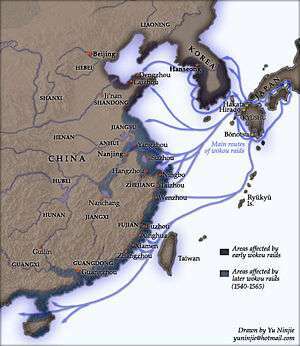 Sea raiders [...] were most active where the maritime environment gave them most opportunity. Narrow straits which funneled shipping into places where ambush was easy, and escape less chancy, called the pirates into certain areas. ↑ Heebøll-Holm, Thomas (2013). 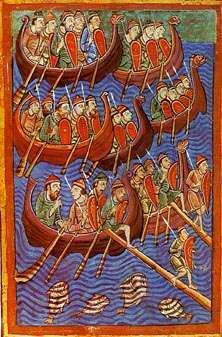 Ports, Piracy and Maritime War: Piracy in the English Channel and the Atlantic, c. 1280-c. 1330. Medieval Law and Its Practice. Leiden: Brill. p. 67. ISBN 9789004248168. Retrieved 2015-02-18. 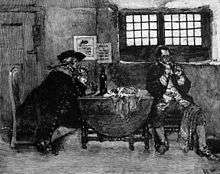 [...] through their extensive piracies the Portsmen [of the Cinque Ports] were experts in predatory actions at sea. 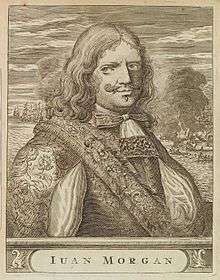 [...] Furthermore, the geostrategic location of the [Cinque] Ports on the English coast closest to the Continent meant that the Ports [...] could effectively control the Narrow Seas. ↑ Arquilla, John (2011). Insurgents, Raiders, and Bandits: How Masters of Irregular Warfare Have Shaped Our World. 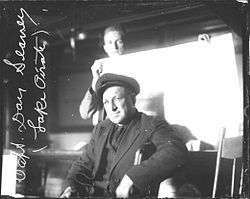 Ivan R. Dee. p. 242. ISBN 9781566639088. Retrieved 2015-03-05. From ancient high seas pirates to 'road agents' and a host of other bush and mountain pass brigands, bandits have been with us for ages. 1 2 "Foreign Affairs – Terrorism Goes to Sea". Retrieved December 8, 2007. ↑ "When Europeans were slaves: Research suggests white slavery was much more common than previously believed". ↑ Rommel C. Banlaoi. "Maritime Piracy in Southeast Asia: Current Situation, Counter-Measures, Achievements and Recurring Challenges" (PDF). ↑ "Soldiers, Seahawks and Smugglers". ↑ "The Buginese of Sulawesi". ↑ John Kleinen; Manon Osseweijer (10 August 2010). Pirates, Ports, and Coasts in Asia: Historical and Contemporary Perspectives. Institute of Southeast Asian Studies. pp. 60–. ISBN 978-981-4279-07-9. ↑ New Peterson magazine. 1896. pp. 578–. ↑ "From Pirate Coast To Trucial". ↑ Lampe, Christine (2010). The Book of Pirates. Gibbs Smith. p. 14. ↑ Hickox, Rex (2007). All You Wanted to Know about 18th Century Royal Navy. Lulu.com. ISBN 1-4116-3057-2. p. 16. ↑ Nelson and His Navy – Prize Money Historical Maritime Society. ↑ Were there really woman pirates? ↑ Fox, E.T. (Ed). "In the show 'Black Sails', the pirates have laws they quote every now and then when there are disputes". redditt. Retrieved 18 March 2016. ↑ Liz Burlingame (Aug 23, 2013). "Sunken Treasures: The World's Most Valuable Shipwreck Discoveries". The Weather Channel. ↑ Willard H. Killough III – Managing Editor. 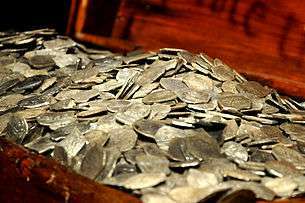 "250,000 Pieces of Blackbeard from Shipwreck". 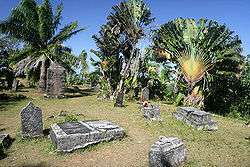 islandgazette.net. ↑ US Navy Fleet List War of 1812. ↑ Security Management:Piracy on the high seas. Retrieved October 23, 2007. ↑ Consortium of International Organizations (August 2011). Best Management Practices for Protection against Somalia Based Piracy (PDF). Livingston: Witherby Seamanship International, London. ISBN 978-1-85609-505-1. Retrieved September 10, 2016. ↑ DiSalvo, David (6 December 2010). "How Lasers Can Protect You From Pirates". mental floss. Retrieved 5 September 2011. ↑ "Robotic/remote-controlled USVs". Popular Mechanics. Retrieved October 23, 2014. ↑ Kissinger, Henry (July–August 2001). "The Pitfalls of Universal Jurisdiction". Foreign Affairs. ↑ "Bento, Lucas, 'Toward An International Law of Piracy Sui Generis: How the Dual Nature of Maritime Piracy Law Enables Piracy to Flourish' Berkeley Journal of International Law Vol.29:2 (2011)". ssrn.com. ↑ A general history of the robberies & murders of the most notorious pirates. Charles Johnson. Introduction and commentary to A General History of the Pyrates by David Cordingly. p. viii. Conway Maritime Press (2002). I Sailed With Chinese Pirates by Aleko Lilius, Oxford University Press, US, October 17, 1991, ISBN 0-19-585297-4. Contemporary Maritime Piracy in Southeast Asia. By: Chalk, Peter. Studies in Conflict & Terrorism, January–March 1998, Vol. 21 Issue 1, p. 87, 26p, 1 chart; (AN 286864). Japanese Anti-Piracy Initiatives in Southeast Asia. By: Bradford, John. Contemporary Southeast Asia, December 2004, Vol. 26 Issue 3, pp. 480–505, 26pp; (AN 15709264). Maritime Piracy and Anti-Piracy Measures. By: Herrmann, Wilfried. Naval Forces, 2004, Vol. 25 Issue 2, pp. 18–25, 6p; (AN 13193917). Maritime Piracy in Southeast Asia. By: Liss, Carolin. Southeast Asian Affairs, 2003, p. 52, 17p; (AN 10637324). 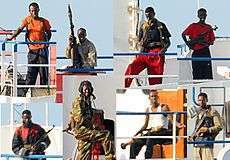 Pirates, Fishermen and Peacebuilding – Options for Counter-Piracy in Somalia. By: Bueger, Christian, Stockbruegger, Jan and Werthes, Sascha. Contemporary Security Policy, 2011, Vol. 32, No. 2. Kontorovich, Eugene. Piracy and International Law, Global Law Forum.